The VR and AR headsets on the market have largely focused on the practicality of delivering mixed reality experiences to wearers, with less emphasis on the elegance and form factor of the headsets themselves. Seoul-based design studio PDF Haus published some stunning images that imagine what a high-end VR headset might look like in the eyes of a luxury brand, in this case Givenchy. 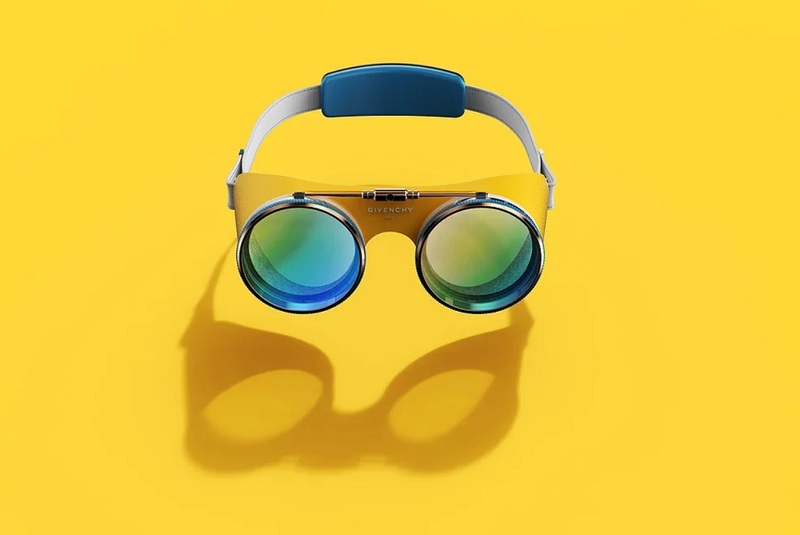 The work of designer Jaehyeon Ha, the concept goggles are able to render both VR and AR at the same time, allowing for a more sensory experience that looks just as stylish when viewed from the outside as it does when looking through the lenses. In keeping with Givenchy’s design aesthetic, the glasses are made with contrasting materials and feature dramatic color combinations that are nonetheless elegant due to the simple, streamlined shape. The lenses themselves, which are inspired by camera lenses and feature small numbers on the sides to adjust the focus, actually lift up to reveal a clear lens that the wearer can use when the AR feature is turned on. Other smaller details, like padding hidden on the inside of the headset, offer increased comfort for the wearer. The designer also went ahead and doctored some imaginary Givenchy ads that show how the French fashion house might market such a product in the future.